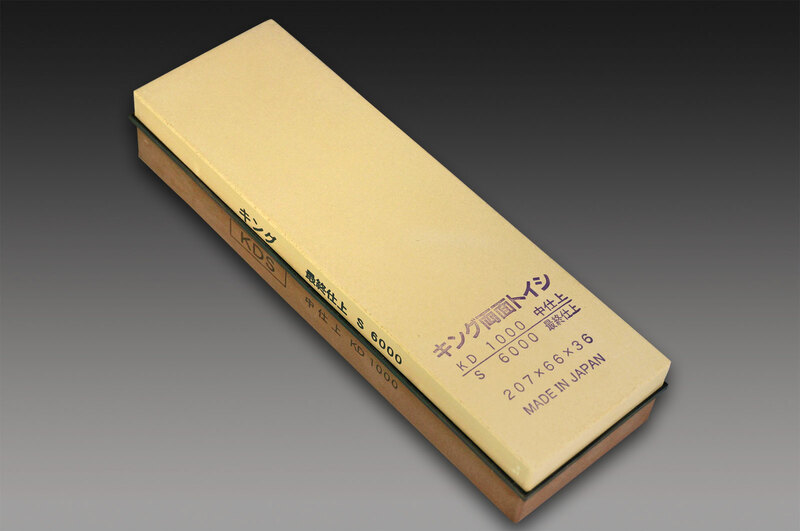 Make knife sharpening easier by getting the right whetstone. The King Combination Stone “KDS” shown here has what you need to remove grinder marks and finish with a polished edge. Made from the same materials as the King Deluxe Whetstones, this item will give much better results than an oil stone. The King KDS Whetstone utilizes a combination of 1000 Grit on one side to sharpen and smooth the blade while the other side is a 6000 grit for honing the blade. The convenience of having both sides allows for maintaining a sharp knife.